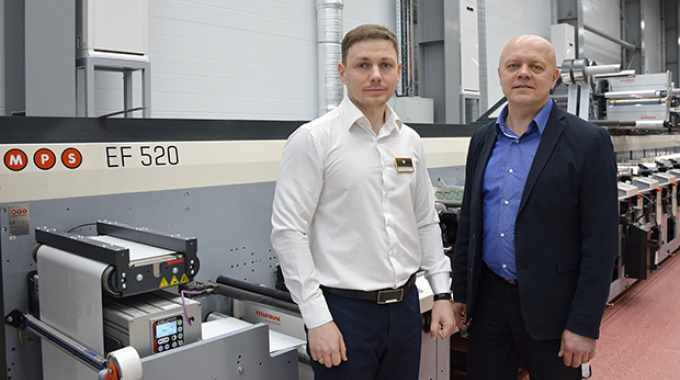 Russian label printer Evroflex has installed its sixth MPS flexo press with investment in a multi-substrate MPS EF 520. The 13-color, multi-substrate MPS EF 520 printing press is equipped with automated print control (APC) to automatically set-up the printing mode (anilox to plate, plate to substrate). Various finishing units are also on the press, including screen printing, lamination, cold foiling and die-cutting stations, as well as an automatic non-stop rewinding system with automatic core gluing and unloading of finished rolls. In addition, on-press job memory saves all the job parameters to quickly restore and save time when setting up similar jobs. To work in tandem with a previously installed MPS press in a similar configuration, Evroflex’s new 13-color press is set to increase the printer’s overall production capacity, and ‘significantly’ reduce the time needed to produce complex labels for demanding customers, according to MPS. Evroflex’s first MPS machine purchased in 2005 was an EF 340. In subsequent years, three additional presses were purchased in various configurations, and in 2011 Evroflex installed an EF 520 with 14 stations. Following the installation of its latest MPS EF 520, Evroflex has expanded label production capacity through interchangeability of the two EF 520 presses. The new press was installed in autumn of 2018 at the Evroflex site in Voronezh by specialists from Ogard, the MPS Systems representative in Russia. Evroflex is a producer of high-quality self-adhesive labels for premium spirits, wines, beverages, food, cosmetic and chemical brands. 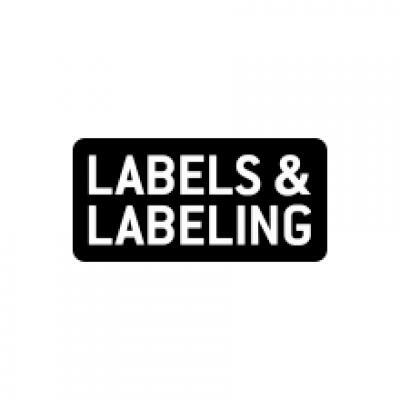 The printing house implements international quality standards and actively applies innovative options for label printing and embellishments, including its own unique know-hows.